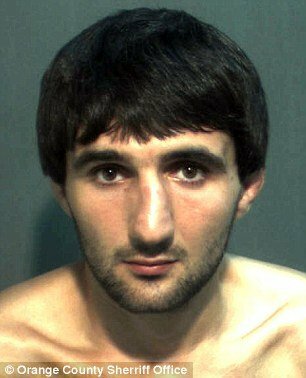 Home Tags Posts tagged with "orlando florida"
Chechen Ibragim Todashev has been shot dead by an FBI agent in Orlando, Florida, early Wednesday during questioning related to the Boston Marathon bombings. The shooting happened just after midnight Wednesday at 27-year-old Ibragim Todashev’s apartment complex near Universal studios, FBI Special Agent Dave Couvertier confirmed. “The agent encountered the suspect while conducting official duties,” Dave Couvertier said. An FBI post-shooting incident review team has been dispatched from Washington, D.C. and is expected to arrive in Orlando within 24 hours, he said. Former FBI assistant director John Miller, who now works for CBS News, said the FBI was trying to question Ibragim Todashev at his apartment over his ties to Boston Marathon bombing suspect Tamerlan Tsarnaev when “something went wrong”. The suspect reportedly attacked the agent, who then fired his weapon and killed Ibragim Todashev. The FBI had questioned Ibragim Todashev in the past regarding his ties to 26-year-old Tamerlan Tsarnaev, who was killed by police in a shootout following the April 15 bombings. His younger brother, Dzhokar Tsarnaev, 19, has been charged in connection with the bombings and is being held at a prison medical center outside Boston. Khusen Taramov, a friend of Ibragim Todashev, confirmed that he knew Tamerlan Tsarnaev and had been in contact with him via phone or Skype about a week before the bombings. In an interview with Orlando television station WESH, he said that the two met while Ibragim Todashev was living in Boston because they were both involved in mixed martial arts and boxing. Khusen Taramov says the FBI has been following him and Ibragim Todashev since the bombings. He said that they were both being interviewed by agents late Monday night. He claims his friend is innocent and that he has been targeted by authorities because he is a Muslim. “He was just a Muslim, that was his mistake, I guess,” Khusen Taramov, also a Muslim, told WESH. Shortly before the shooting, Ibragim Todashev “had a bad feeling. He felt there’s going to be a set-up against him,” he said. Ibragim Todashev gave him phone numbers for his mother and father late Monday just in case he got “locked up”. “We had a feeling that a worse-case scenario, that something like [a shooting] is going to happen,” Khusn Taramiv told the television station. In an unrelated incident, Ibragim Todashev was arrested May 5 for aggravated battery following a fight in a parking lot.